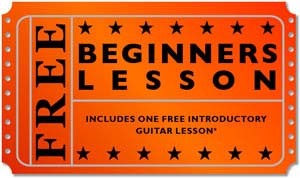 Our Lesson Pack (LSP) Acoustic Guitar Pack is designed with the beginner guitarist in mind. 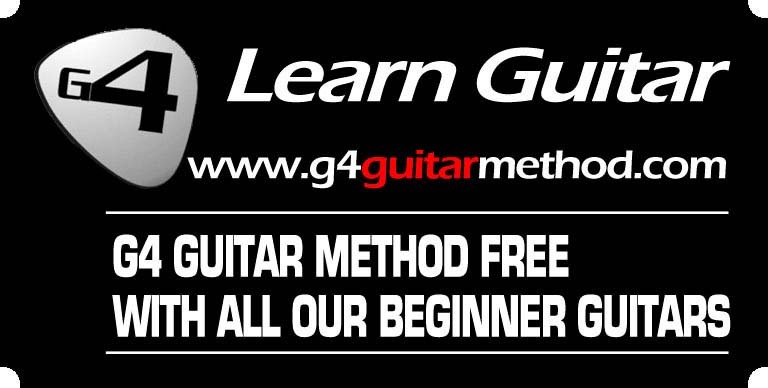 Imagine how much quicker you will learn with a good quality guitar. With a great sound to inspire you and great design to make it easy to play, you'll breeze through the first stages of your playing. You'll be playing your first song and impressing your friends in no time! Comes included with a bag to protect your guitar, strap and Built-In Tuner - A tuner for a beginner is vital. A guitar needs to be tuned every time you play. As ours is built into the guitar its always in the right place. It's extremely simple to use so you will be using it correctly in no time at all. 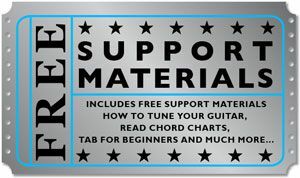 Free replacement set of steel guitar strings. 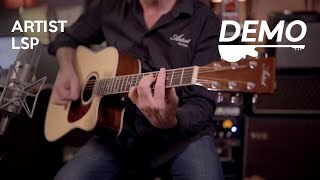 The LSP is an ideal beginners guitar suited to adults or younger people (from around 15 up) - If you're on the shorter (or younger) side we suggest you check out the LSPS range or smaller. If the information is confusing and you would like some free advice just call us on our Toll-Free Number so we can help you to choose the perfect size for you. Included Accessories :- Built-in Chromatic Tuner FT201, Gig Bag, Guitar Strap, Neck adjustment Allen key, Spare Set of Strings, 2 Strap pins.